Magician gives the user more control over the SSD while Data Migration provides easy relocation options. 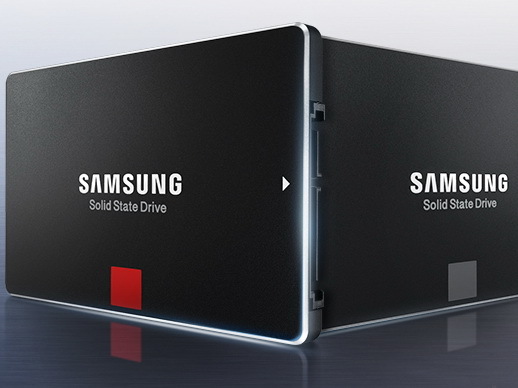 Samsung today has announced new versions of its Magician and Data Migration software for SSDs. Version 4.8 of Magician provides support for the SSD 950 Pro series and RAPID mode for Windows 10. RAPID mode is Samsung's proprietary feature that optimizes read and write speeds for the SSD based on the current workload. SecureErase can be used to erase the entire SSD in less than a few minutes. Magician can also be used to analyze the health, specifications, and performance of the SSD. Data Migration gets an update to version 3.0 for official support with Windows 10. Improvements have been made to streamline disk cloning into three steps: Diagnosing the existing data, selecting the new hardware, and then completing the transfer. Samsung Magician 4.8 and Data Migration 3.0 are both available for download at Samsung.com/samsungssd. The applications are only compatible with specific Samsung SSDs and not with those from other manufacturers.